"I look forward to working with the rest of Telaria’s board and leadership team to help guide the company as its grows within this vibrant and continually evolving industry." 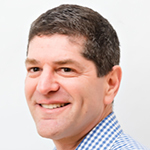 NEW YORK--(BUSINESS WIRE)--Telaria, Inc., (NYSE: TLRA), the complete software platform for publishers to manage premium video advertising, today announced that Doug Knopper, co-founder of FreeWheel, has been appointed to the Company’s Board of Directors. 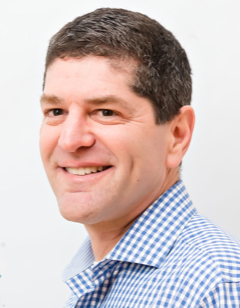 Most recently, Mr. Knopper served as co-CEO of FreeWheel, and he currently works as an advisor and board member to myriad technology companies, working with CEOs, boards, management teams, and venture capital partners, to help them scale and perform. Mr. Knopper co-founded FreeWheel in 2007, sold it to Comcast in 2014 for $375 million, and remained at Comcast post-acquisition for three-and-a-half years. Previous to FreeWheel, he spent six years as General Manager at DoubleClick in New York and London, and was part of the team responsible for its initial $1.1 billion sale. Mr. Knopper also served as CEO of Bitpass, a financial technology company sold to Digital River in 2007. Prior to that, he held senior roles at advertising agencies and broadcasting companies, including Chiat Day, Lowe, JWT, and Bonneville Broadcasting. Doug holds an MBA from Georgetown University and a B.A. from the University of Michigan. He currently resides in Palo Alto, CA with his family.